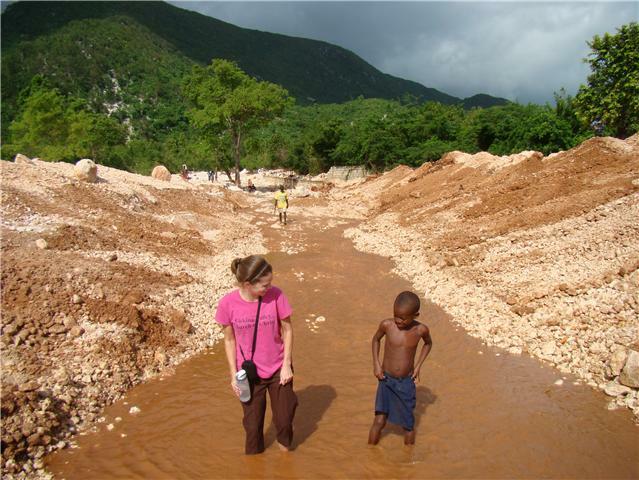 Ginny in Haiti: Introducing Invest Hope! We are almost done with our non-profit/5013c status with Invest Hope! We are one step 3/3. The first 2 steps went rather quickly so we are hoping this one does too. Check out our website to see a general overview of Invest Hope. When I was looking for a job opening here in Haiti last May, I prayed about several different options. But honestly none of them seemed like the right fit for me or what God wanted me to do in Haiti. I am a nurse, but the longer I live in Haiti, the more I see that the problem is lack of jobs. If you had a job, then you could pay for well check up visits to the doctor and hopefully not be sick as often. If you had a job, you could buy food for your family in the market and your kids would be well-nourished. If you had a job, you could pay for your children's education. If you had a job, you could provide housing for your family. In my opinion there is WAY too much giving handouts being done in Haiti. What if we took that money instead and "invested" it? That's how I came up with the idea of Invest Hope. To help break the cycle of poverty by helping people find the means to provide for their own families. The first way we started was giving microloans to women in the village of Peredo. I can not tell you how fun this has been. I can see how much happier I am working on this project than I am working in the medical field here.We have 19 participants in the program and they are doing so well in their businesses and in loan repayments. Our dream one day is to build a vocational training center outside of Jacmel. But do some "off the beaten path" types of training. Not the conventional plumbing, care repair, electricians. We already have a couple irons in the fire to help Haitians earn a living to care care of their families. Stay tuned for more info! Please pray for this mission. I really believe this is what God wants me to do in Haiti. I also know providing people with the tools to take care of their own families is harder than giving handouts. Pray that we make the right decisions, follow the plans God has for this project and that we stay on course.Satan is already on alert and has begun to try and block our path. We are looking for partners for Invest Hope also. Please contact me if you're interested in hearing ways you can be involved.